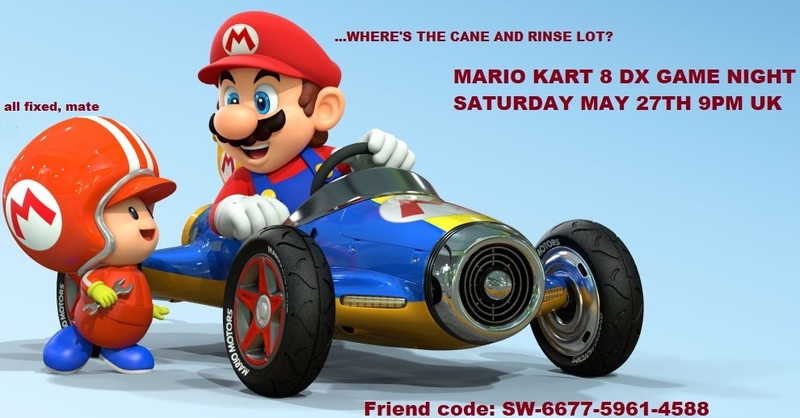 Re: Mario Kart 8 Deluxe game night! Coming Saturday 29th May 2017! Are ya ready? I will be playing tomorrow night! I'm in mate, I'll be there. However, the literal impending birth of my first child has me on high alert, so if i'm not there it's potentially because I'm busy with that . I'm in! No voice chat though, 'cause of sleeping beings in the house. Quick bath and I'm there. Need to freshen up after ARMS in this humidity. She's "rotate to dilate" so I'm in. Thanks to everyone who came, stayed and left! 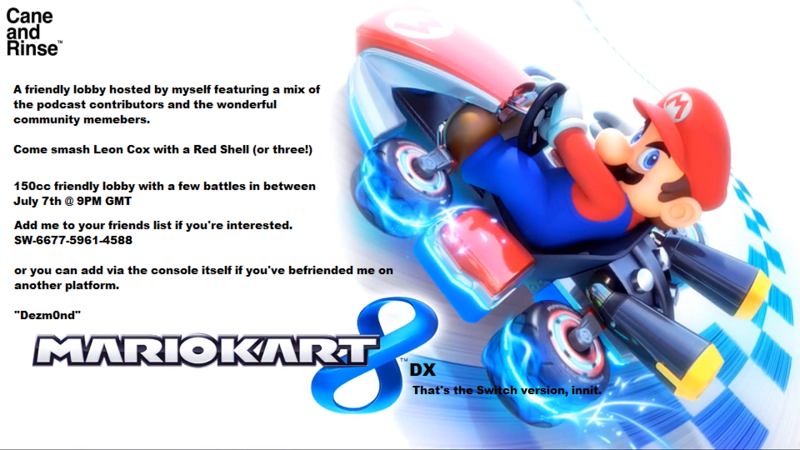 I don't mind if you play 1 race or 30, it really warms my heart that you lot turn up for a dose of MK8 with us! Another excellent MK8DX game night. Thanks to Darren for organising, and everyone else who made it so fun. Nice to have a full (or near full) room, especially for Battle Mode. Please remember, I was using tilt controls! Right, boys and girls. Friday July 7th. MK8DX rematch with a new challenger approaching! I haven't bought it yet. Keep hovering over doing so then recall I am paying £50 for a game I already own. I might feel the same if it wasn't a birthday present, but it's worth another go just to have it active online again from my point of view. Cool, I'm in, the 7th is good for me !! Thanks - thanks to my girlfriend anyway! Great stuff. I'm only a maybe this time round but a hopeful maybe! Right then, we're definitely on for next Friday, July 7th at 9pm GMT. I'll do a silly little image for twitter later on! Should be interesting with the new patch! Prepare to cry... I'm whispering to myself.